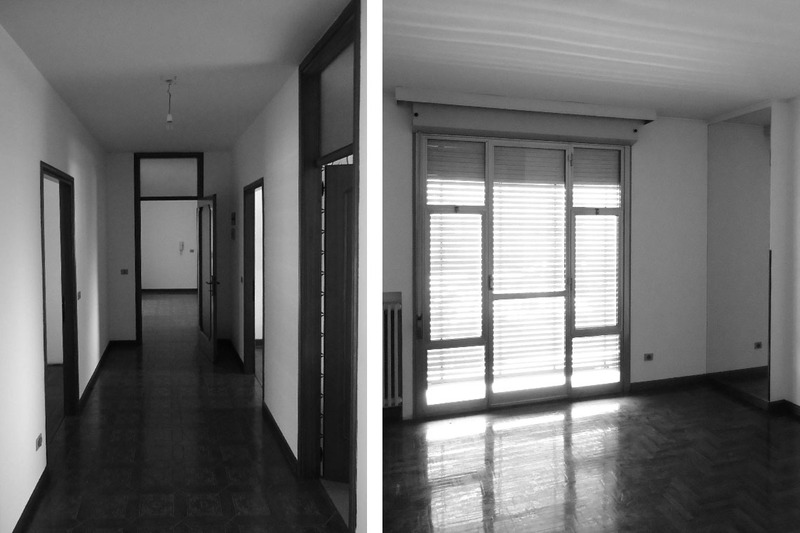 An apartment, built in the Seventies, is transformed into the headquarters of a law firm. 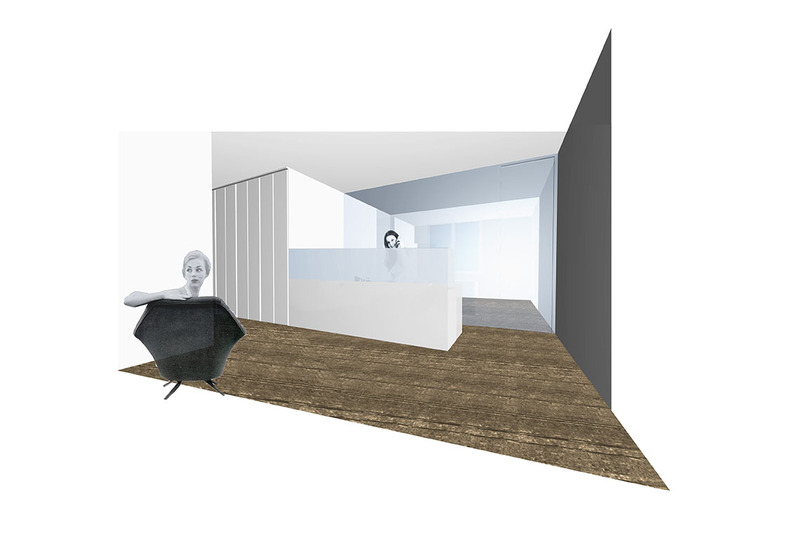 The row of rooms that face a wide central corridor provides the opportunity for organising and arranging the waiting room. 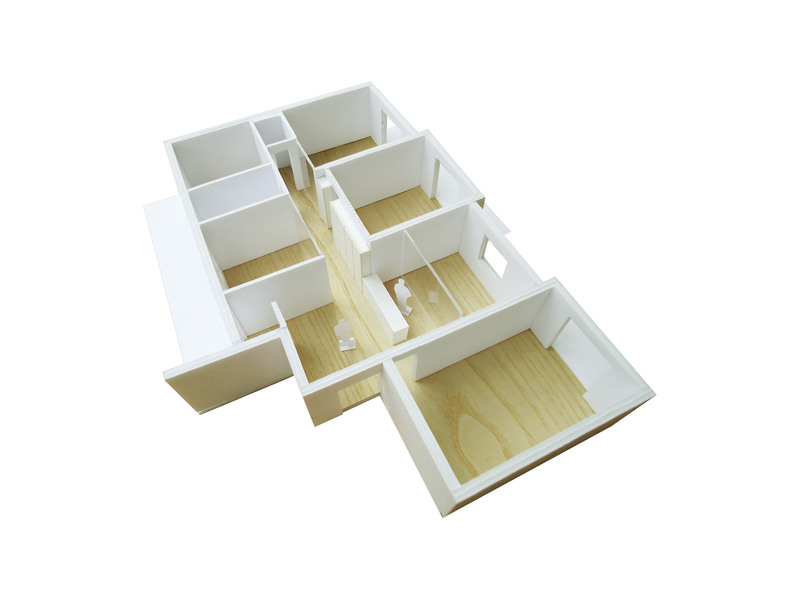 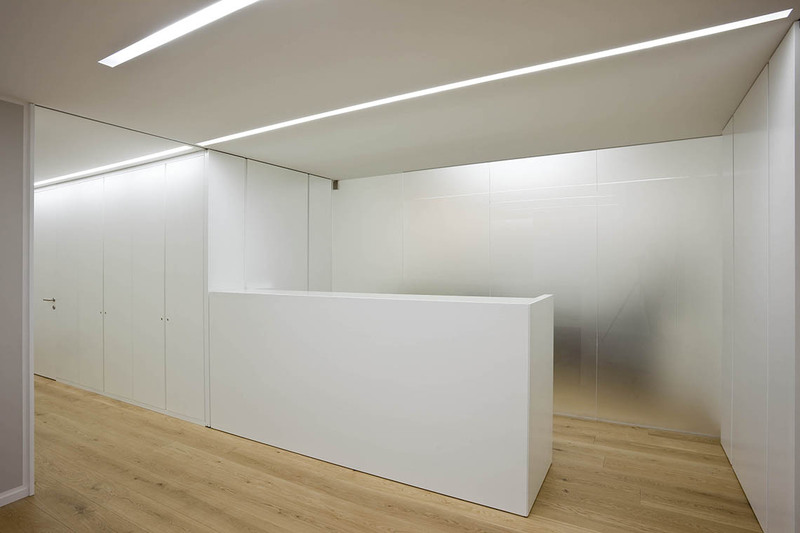 The spaces for common use are characterised by one single article of furniture, a long white wall-cupboard that conceals the doors of the offices and extends to the entrance and ends with a counter that functions as a reception desk. 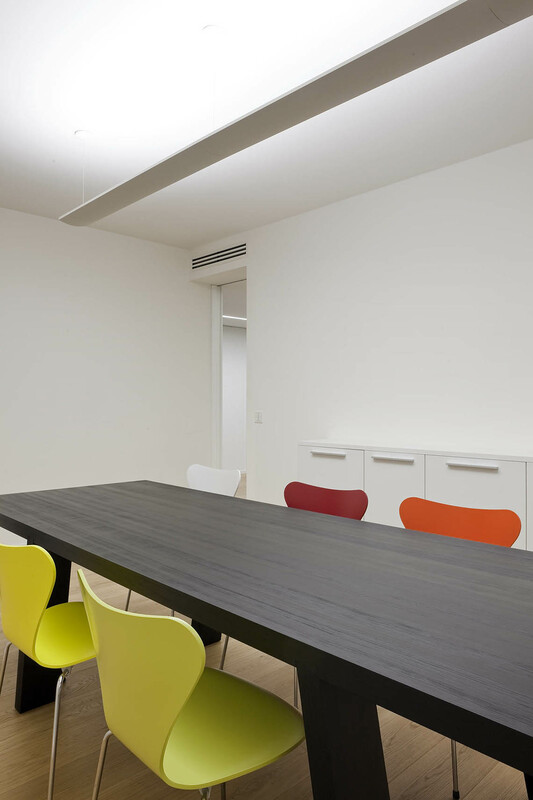 The walls of frosted glass provide for natural lighting of the internal corridors, reducing energy consumption. 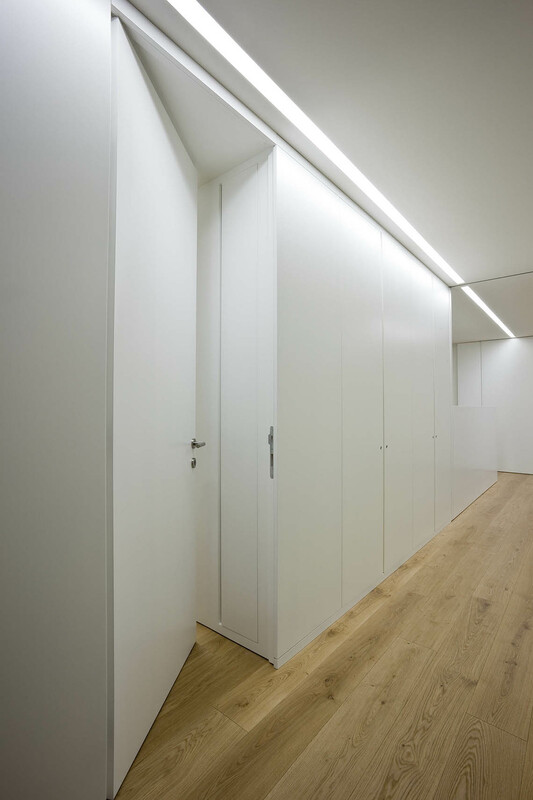 Continuous rows of lights set into the ceiling link the corridor spaces together. 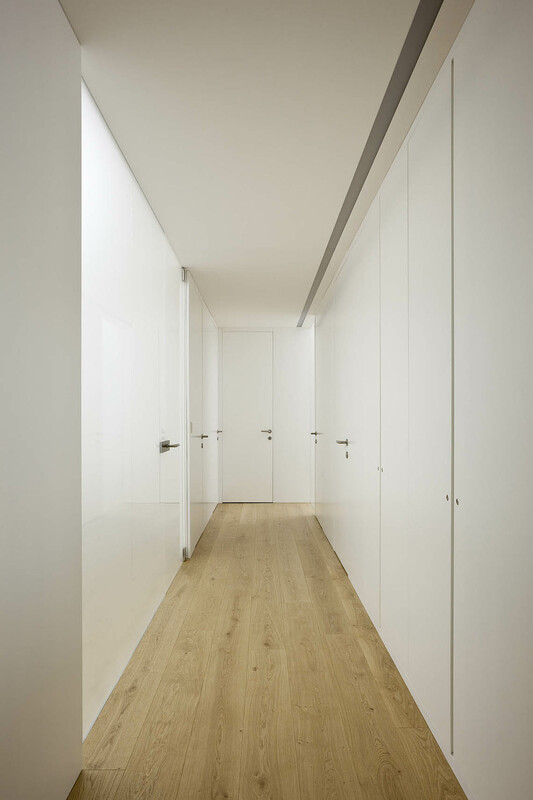 The ethereal finish provided by the white furniture, the walls, ceilings and frosted glass is in sharp contrast with the material aspect of the oak flooring.